From the Top menu, click System Monitoring (upper-right). 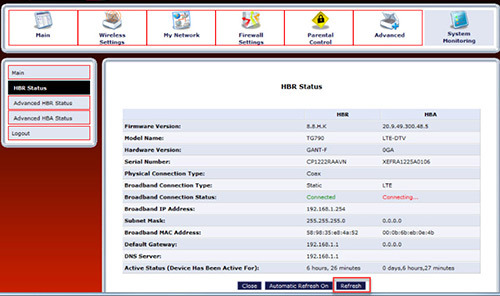 The HBR Status info displays. For updated status info, click Refresh (bottom).